If you want to have fresh coffees in your inventory all year round, now is a good time to plan your purchases all the way until April 2016. There are many reasons for us sourcing coffees in the different countries we work in. Firstly it’s because we know we add value and just love the profiles there, but secondly it’s because the coffees in the different countries are harvested in different periods of the year. This means we are able to give you the opportunity to always buy fresh greens from us all year around. Still, we will be short of some origins, so the earlier your able to plan your year-round volumes and take buying decisions, or give us an idea on what you would need, the better. Through this post I’ll try to give you a heads up on how to plan your purchases, what’s in stock and what’s coming in the next months. There won’t be new fresh coffees coming in before March 2016 at the earliest. Ethiopian and Kenyan coffee tends to hold up well. They might lose some intensity and flavor when they are getting older, but they rarely get very woody. So if you need coffees to use all year around this is a good option. If you still need more coffee from these origins to be covered until new crop, this is the time to ask for samples and take purchasing decisions. The last arrivals are soon to come. There were some delays on some shipments this year that was out of our control, but the coffees that have landed later still have performed very well, as expected. The new crop won’t arrive before April 2016. They can go old pretty fast, but if processed and dried well, they can be good for about a year after being harvested. Still, we would recommend not to stock up too much for your single origin coffees and filters, but for espresso it can work well even with some age. We do have some great and solid Salvadors from Las Cruces mill in Santa Ana, and some from Los Pirineos farm in Usulatan. They are holding up very well. We also have a 10 bag micro lot from Honduras (La Fany) that’s just great! Available PSS samples: Soon, beginning of September. Colombia! We just love it! Why? Because they harvest all year around, depending on the regions, and the coffees taste great. 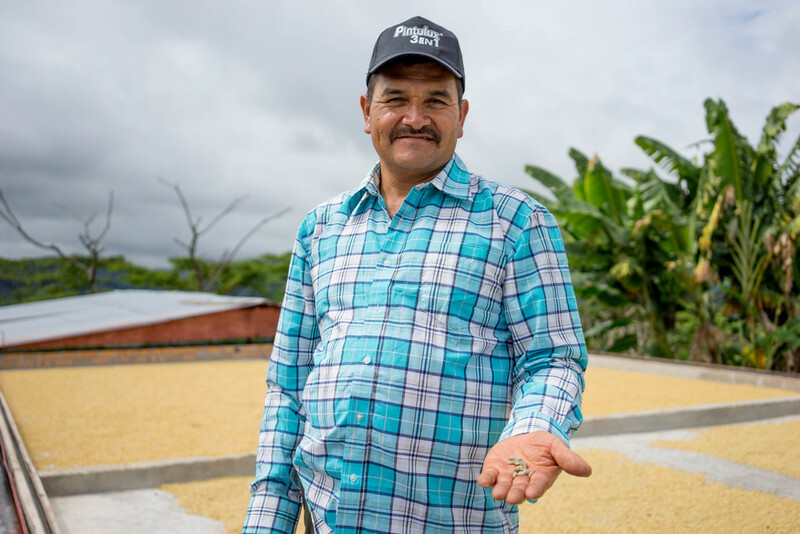 They can pick up some age after a while in storage, so we recommend not to stock up on coffees for the whole year, but instead buy several times a year from the different harvesting seasons. We are getting coffees in almost every 3-4 months. They have a broad spectrum of usage, and can work as great filters, SO espressos, in blends etc. And there is a huge variety of flavor profiles. The next container with fresh ones will arrive in end September. Mainly harvested: March – July. September arrivals – 2 containers: variety of lots from Buziraguhindwa and Mbirizi washing stations. First coffees from both countries are shipped and due to arrive in the beginning of September this year. They will normally hold up well at least until 2. Quarter of 2016. The quality for our suppliers just continues to improve. And we see so much more uniqueness, complexity and brightness now than 3 years ago. We are increasing our Rwandan purchasing significantly. We will have about 30 different lots coming from 6 different producers. Lot sizes vary from 10 -65 bags. This is perfect coffee for filters and SO espressos, and I believe they can, and should, replace traditional blenders from e.g. Central America. They are slightly more complex and interesting, but still sweet bourbons. And they can for some appear more balanced than Kenya and Ethiopia. As for Burundi the coffees are amazing, and the quality development with our producer, Salum Ramadhan is significant. But because of logistical challenges in Burundi we take it more gradually year by year. Meaning we have 2 containers coming in with about 12 different lots of 20 – 120 bags each. I believe looking at different Rwandans and Burundians to fill the gap of fresh Central American and African coffees between November and April 2016 is perfect. And they can be used for many purposes. Price-wise I think they are great value as well. Mainly harvested: May – August. Arrival in Europe: between November and January. There are two reasons for us to work with Brazil. They are harvested and incoming at a moment when there are not too many other fresh coffees coming in, and we believe there is a greater variety of Brazilians than what we generally see in the market today. I would not say they are the most intense, bright and complex coffees, but they can still have uniqueness, great fruit, body and balance and can fill a gap among a lot of more acidity driven coffees. This year we aim at buying a mix of micro lots with as much complexity and acidity as it’s possible to find in Brazil, and we will also buy some fruit driven, good bodied coffees in slightly bigger batches in a more medium price range that we consider as really good value. We know a lot of you are looking for some high quality Brazils for your espressos, and we want to put in some effort to find coffees for that purpose. Let us know if you need samples or want to come and visit us in Oslo for cuppings. For more details and planning you can also check out our coffee calendar here, and read further about purchase planning here. And if you need help for purchase planning you can read through this, and/or contact us to set it up. We will also be having a cupping event in the end of September to go through new arrivals and incoming from Rwanda, Burundi, Colombia, and potentially some fresh Brazilian coffees.